Over the next 12 months—visiting 9 countries with unique and storied running histories, logging over 3,500 miles running over trails, tracks, sidewalks, and dirt roads—Becky explored the varied approaches of runners across the globe. Whether riding shotgun around the streets of London with Olympic champion sprinter Usain Bolt, climbing for an hour at daybreak to the top of Ethiopia’s Mount Entoto just to start her daily run, or getting lost jogging through the bustling streets of Tokyo, Becky’s unexpected adventures, keen insights, and landscape descriptions take the reader into the heartbeat of distance running around the world. Upon her return to the United States, she incorporated elements of the training styles she’d sampled into her own program, and her competitive career skyrocketed. When she made her marathon debut in 2013, winning the race in a blazing 2:30, she became the third-fastest woman marathoner under the age of 25 in U.S. history, qualifying for the 2016 Olympic Trials and landing a professional sponsorship from Asics. Run the World is Wade's memoir of her year of running travels. If you're a runner, this book will open your mind to all manner of different running techniques and traditions. As Wade mentions often, American runners tend to focus on gadgetry, speedwork speedwork speedwork, and structured training plans. However, she found that success as a runner doesn't always translate to keeping track of your pace on your Garmin with every run. And every great runner does not always "carb-load" with pasta the night before a big race. The things we take for granted as "must-haves" or "must-dos" as runners are not always available or desirable in other running cultures. Wade's book highlights those differences and the ways she was able to combine some of them with her old running routines to make her training even more effective. There are so many facets of this book for readers to enjoy. Yes, there is the exploration of running culture, but the book is also peppered with international recipes for yummy runner foods that Wade discovered throughout her trip; descriptions of beautiful running locales the world round; and the wide variety of people she was able to form connections with in the running community. My initial awe at the details of Wade's journey quickly combined with admiration for her ability to comfortably jump right in to cultures that were entirely new to her. Wade rarely stayed in hotels or hostels, instead managing to find lodging with local runners or coaches during her stay in each country. Not only did this steep her in the daily life of the host country even more, but it required her to have a certain amount of bravery as she experienced a trial-by-fire introduction to each new culture. I'm not sure I could have done that with such a low level of anxiety! 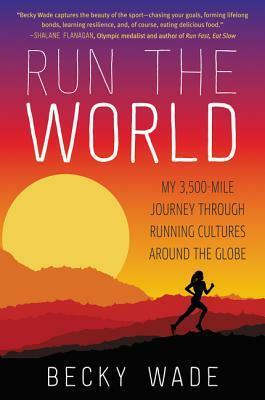 Run the World is an excellent read, especially for the runners and the world travelers among you. Bonus: just before I opened my computer to write this post last night, I pulled my new issue of Runner's World out of the mailbox and found a feature about Becky Wade (and Run the World) inside! So check her out there as well. She is also racing in the US Olympic Track and Field Trials THIS WEEK in Portland, Oregon, vying for a spot to compete in the 3000m steeplechase. Go, Becky, go! This is one runner/reader who will certainly be rooting for you from afar after following your running journey in this book. As always, much thanks to Trish and TLC Book Tours for including me on this tour. Want to find out more? Check out the other blogs on this book tour HERE. 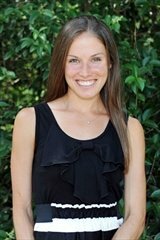 And connect with Becky Wade via Twitter and Instagram. This sounds so very good for a lot of reasons. 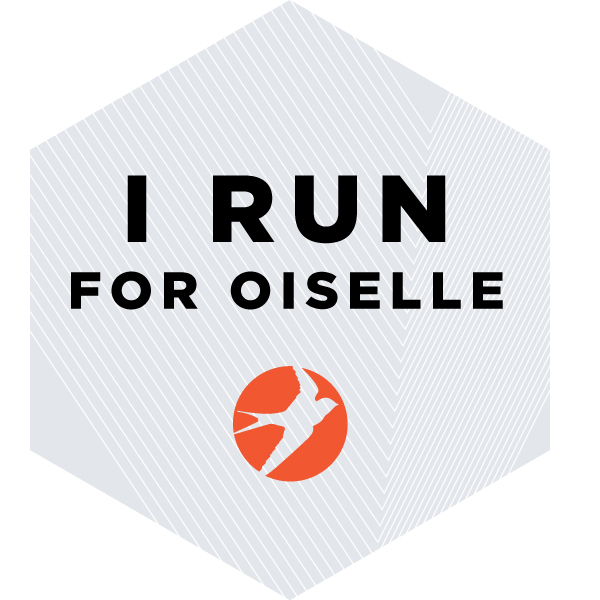 I run myself though I never put much thought into running or training styles. The travel aspects also seem very interesting. Yes, I think there is a lot to offer in this book for travelers as well as runners! Oooh - this one looks really interesting. I like the mix of different running tips/training methods and cultures. Might have to check this out! Yes, I think you'd like it! And Becky Wade is so relatable in her writing, it's easy to fall into the journey with her. Thank you for sharing this! I've already added it to my blog book club-- I think for October! So many books, so little time... I hope you will link up this review! I will definitely link up! 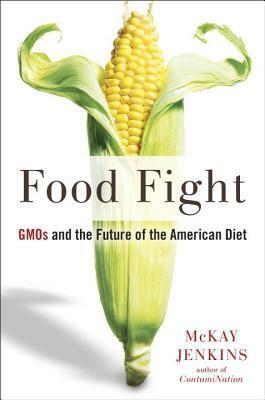 This is a great pick for the book club! I'm not a runner but I love the idea of traveling the world to follow your passion and learning the way other cultures view that passion. It sounds like a fascinating read!